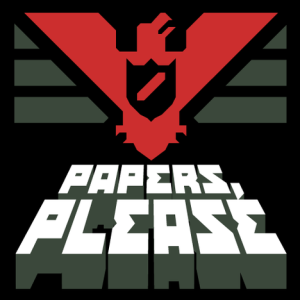 Papers, Please is a “Dystopian Document Thriller” where you play an immigration inspector at the border of a fictional Communist state called Arstotzka. It is one of the most imaginative and unconventional games that I have played, which reminds me what games are really all about: being emotionally affected by a novel experience. On the surface this game is about scrutinizing paperwork, which sounds like a tedious gameplay mechanic. But it blossoms beyond tedium with lush details that combine to create the brooding, oppressive atmosphere of Arstotzka, a dictatorial nightmare. One where you silently walk to work in the cold and toil all day only to be forced to choose between heat in your freezing apartment or medicine for your sick child. 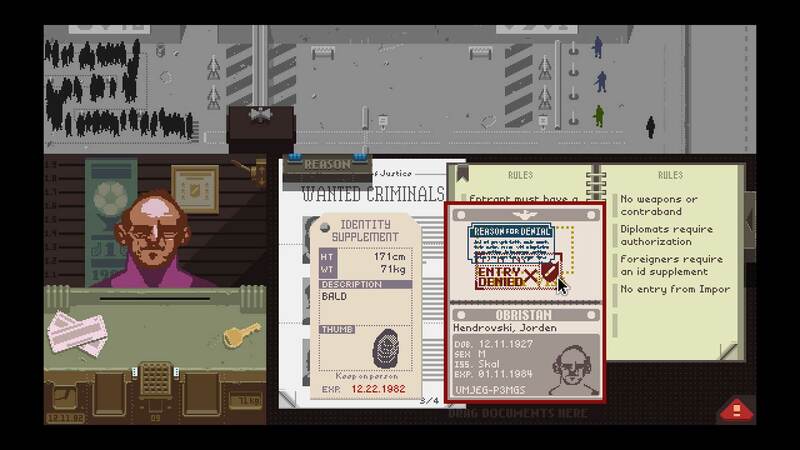 Papers, Please is not about documents: it’s about making very difficult choices and struggling for survival. As you receive instructions on verifying paperwork, you begin the drudgery of your job as the complexities begun to ratchet up. At first you are cross-referencing information between multiple documents on a virtual table-top. In time you begin subjecting visitors to X-ray and finger-print scans to verify identity and right to entry. It only gets more complex and dark from there. In the course of a work day, you interact with many different characters who guide the narrative. The memorable ones are prostitutes, pimps, drug smugglers, and terrorists, and they all have a story to tell. They’ll appeal to your emotions and ask you to break protocol, which often ends in someone getting shot. 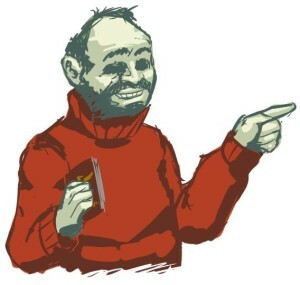 Which feels bad since the atmosphere and narrative in Papers, Please is so convincing. Eventually you will become skilled in your task of checking paperwork, but it’s never quite enough. Papers, Please conveys oppression, brutality and misery with stunning elegance, and it strikes an emotional chord through its characters. This is one of the best games that I’ve played because it’s such a clever and successful experiment in storytelling. You feel for inhabitants of Arstotzka in a way that is difficult to describe because beneath its surface, this game is about life, liberty, and justice. It’s about the choices that we all have: to do the right thing, or to do what we’re expected to do. And it deals with fate, which we have no control over: that we can be crushed at any time regardless of the choices we make. That’s an astonishing achievement for a game about an immigration inspector.